We provide, since 1966, direct private transfers from Faro Airport to any Central Algarve destination, hotel, resort, holiday villa or local accommodation. 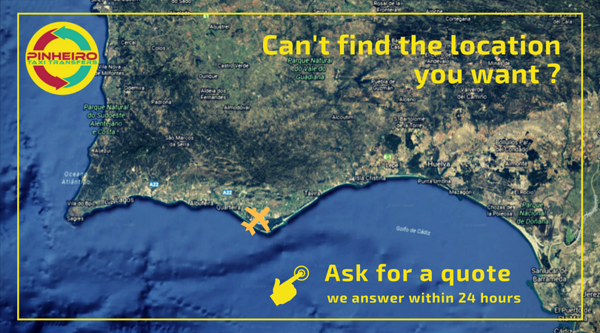 If you don´t find your destination in the list, ask for a quote, within 24 hours you will have your response. When finalizing your reservation, a copy will be send to your email address. Please, if you didn´t receive a copy of your booking form in your email, check spam folder. The next 24 hours you will receive the reservation confirmation document as well as additional information about the service you hired. Please, check spam folder if you doesn´t receive the email.